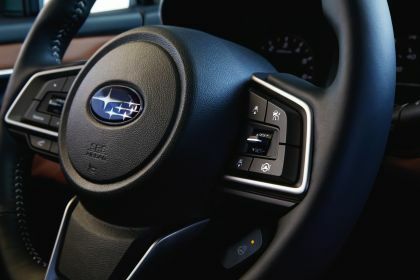 On this page you can find 13 high resolution pictures of the "2020 Subaru Legacy" for an overall amount of 50.10 MB. 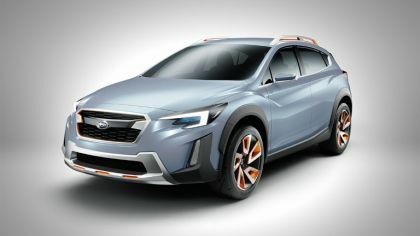 Introduced for 2017, the Subaru Global Platform has been optimized for the midsize Subaru Legacy, boasting a structure that is 70-percent stiffer in both torsional and front-suspension rigidity and 100-percent stiffer in both front lateral flexural and rear subframe rigidity compared to the previous Legacy's platform. 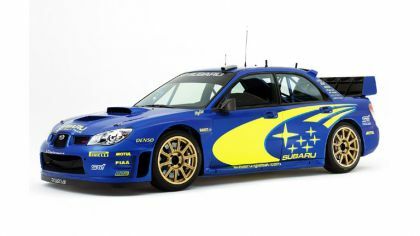 Notable contributors to the increased stiffness include a 13-percent jump in ultra-high-tensile-strength steel, a 371-percent increase in structural adhesive (compared to initial iteration of the Subaru Global Platform) and, for the first time in a Subaru, a floor crossmember that is filled with a highly rigid and lightweight two-part foam material. 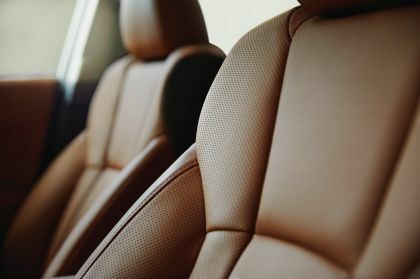 In another Subaru first, the Legacy utilizes a full inner frame construction in which only the outer panels are welded to the structure after the entire body framework is assembled, unlike a conventional manufacturing process in which the upper and under bodies are assembled separately and then joined. 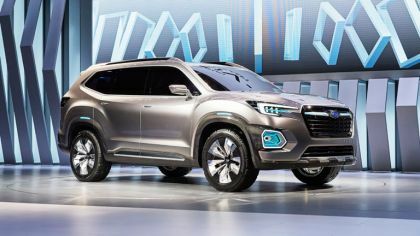 This new inner frame construction is significantly stiffer and lighter than the previous Subaru Legacy's conventional structure. The Legacy's stiffened platform pays multiple dividends in the real world. 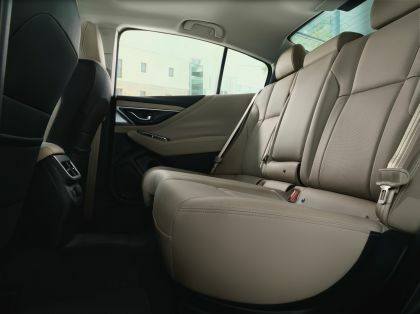 Along with a strengthened suspension and lowered center of gravity, the Legacy's improved body rigidity provides more responsive steering and handling, smoother and quieter ride, and heightened hazard avoidance in emergency situations. Crash protection, too, is markedly improved, as the new body absorbs over 40-percent more energy in front/side crashes than the current model. 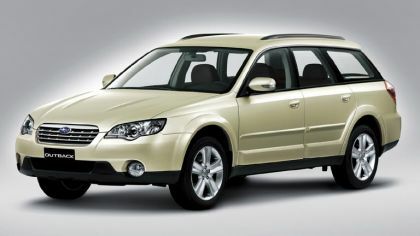 When a crash is unavoidable, the Subaru Legacy protects with eight standard airbags, including a driver knee airbag. Subaru expects the Legacy to achieve top safety scores when it is tested later this year, including a Top Safety Pick+ rating from the Insurance Institute for Highway Safety (IIHS). 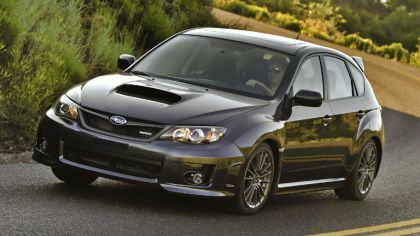 For the first time since 2012, the Subaru Legacy lineup will feature a turbocharged engine. Standard on XT models, the 2.4-liter turbocharged BOXER engine delivers brisk acceleration and robust all-around performance, with 260 horsepower at 5,600 rpm and 277 lb-ft of torque from 2,000-4,800 rpm. Mated to a high-torque Lineartronic CVT with manual mode and steering wheel paddle control switches, the 2.4-liter BOXER launches Legacy XT from 0-60 mph in an estimated 6.1 seconds. Fuel economy for the turbo is equally impressive, with a manufacturer's estimation of 24/32 mpg city/highway. 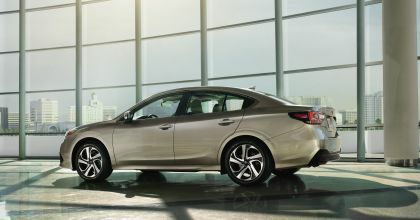 For 2020, the Legacy's CVT hydraulic system features a lower viscosity oil that reduces horsepower loss by 32 percent compared to the previous model's CVT, helping the new model achieve both higher fuel economy and greater driving performance. Complementing the more powerful and refined powertrains is an all-new suspension that is lighter, stronger and more responsive. The front suspension utilizes MacPherson struts with new internal rebound spring, aluminum lower L-arms and new 23mm hollow stabilizer bar. In back, the rear suspension features a double-wishbone layout with subframe, coil springs and new 19mm hollow stabilizer bar. 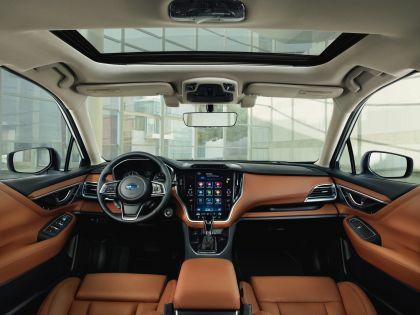 Combined with grippy V-rated all-season tires on 17- or 18-inch alloy wheels and four-wheel ventilated disc brakes, the 2020 Subaru Legacy has achieved the highest levels of dynamic performance and ride comfort in its history. 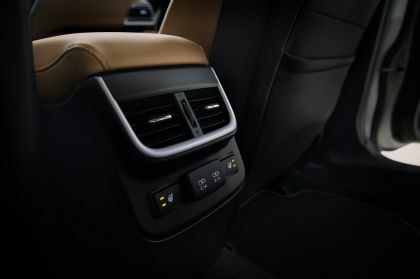 Enjoying the high-end audio can be fully realized thanks to a serene cabin that is almost 3 dB quieter at highway speeds. 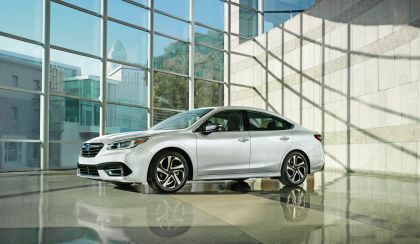 Subaru engineers worked extensively to find ways to reduce unwanted noise coming into the cabin, fitting the Subaru Legacy with new door weather strips that feature a baffle in the mid-section and dual lips on the roof side for improved quietness. Even the weather strip mounting structure was modified to reduce mounting variation and improve sound insulation. 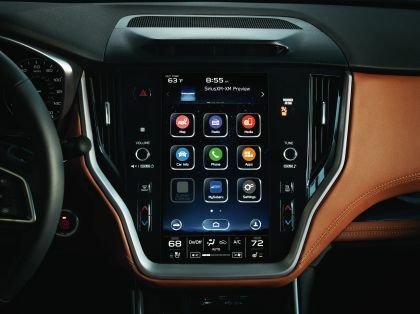 Sound-insulated glass, which uses a sound-insulating inner film for the windshield and front-door glass, has been adopted, while glass thickness all around has been increased for class-leading quietness. Following a "Dynamic x Solid" philosophy, Subaru designers incorporated a "Bold in Movement" concept when penning the new Subaru Legacy. 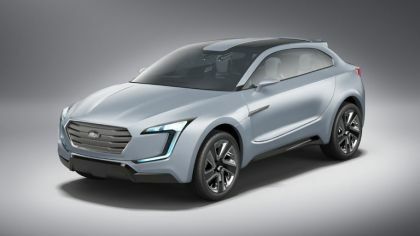 The result is an expressive, sleek silhouette that appears to be in motion, even when stopped. 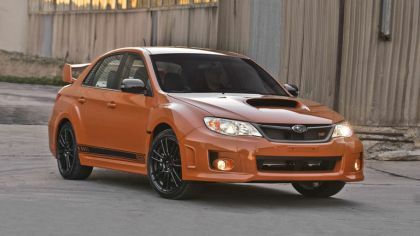 With larger thickness in profile panel surfaces and a thicker appearance from the raised trunk surface, which has a smooth connection to the C-pillar, the Legacy embodies solid toughness and a dynamic active image. 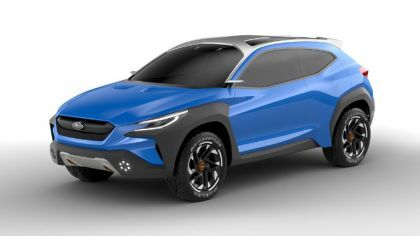 Wider fenders emphasize tire and wheel presence, while a frameless hexagonal grille and a lower grille intake that is molded to evoke the image of an aircraft add width and sportiness to the Legacy's aggressive stance. A reworked side-mirror design improves not only appearance but also aerodynamics and quietness. 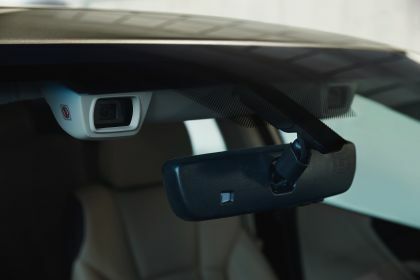 The side mirrors can also be interlocked with seat position memory, reducing the time required to adjust mirrors before driving. In addition, the Touring trim offers power folding and reverse interlocked tilt-down functions for the side mirrors. Epitomizing Legacy's "Bold in Movement" concept are new Touring and updated Sport models. 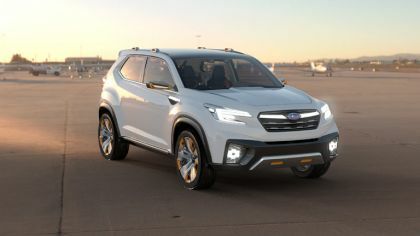 The Touring, standard with the 2.4-liter turbo BOXER, leverages luxurious appointments inside and out, including genuine Nappa leather (a Subaru first), high-gloss black molding for the pillars, chrome plating decorated door handles and satin tone plated side mirrors. The Sport, standard with the 2.5-liter BOXER, boasts a performance-oriented exterior that features an exclusive rear bumper, front grille with high-gloss black bar, high-gloss black side mirrors, trunk lid spoiler and dark metallic 18-inch alloy wheels. 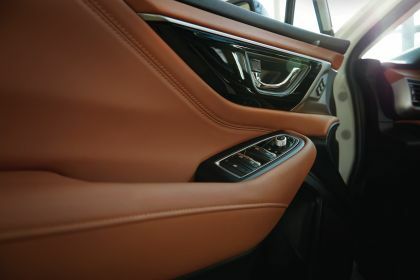 Inside, the Sport comes with aluminum pedals as well as red stitching on the instrument panel, door trim, seats, shift lever boot and leather-wrapped steering wheel. 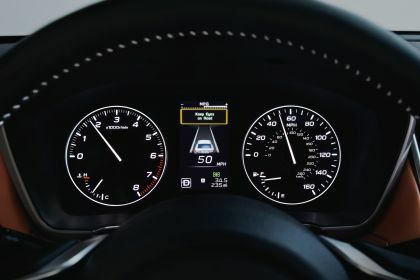 The Sport also adopts an SI-DRIVE switch for varying engine output characteristics between I (Intelligent) and S# (Sport Sharp) modes, with S# offering increased acceleration response. The Subaru Legacy wouldn't be a Subaru if it didn't offer the go-anywhere usability that has long been a brand hallmark. 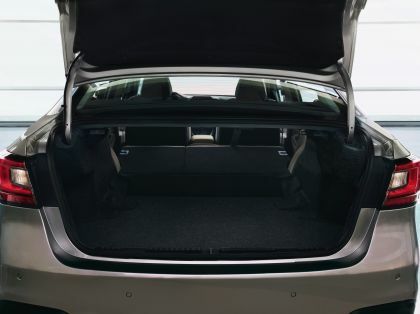 With 15.1 cu ft of cargo capacity and 1.4 inches of additional cargo floor length, the trunk in the 2020 Legacy can comfortably hold four full-size roller bags, giving it the functionality to match that of many small crossovers. For additional cargo versatility, the Subaru Legacy offers standard mounting brackets on the roof for quick installation of a rack, box or tray, making it easy to load surfboards, canoes and other equipment.